Another very nice album by the Dutch Life Line Project. With this sort of lesser known bands, everyone is immediately trying to make comparisons with other bands, but I think this is a band with an agreable and recognizable own sound. Gentle and warm sounding symphonic rock, full of beautiful melodic and harmonious themes. 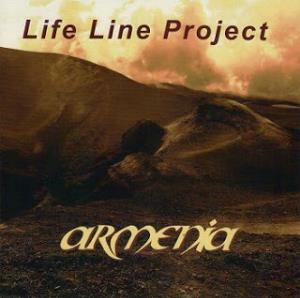 Those, who are out to discover revolutionary progressive rock, will get disappointed with this one, because Life Line Project are obviously aiming to present us that kind of more romantic symphonic rock, that had its heydays in the seventies. Main ingredients of this characteristic LLP-sound, are the (often two-voiced) very melodic guitar leads, the intimate and pure voice of lead singer Marion Brinkman, the presence of a superior woodwind section, consisting of flute, oboe and clarinet and of course the omni present analogic keyboard sounds of Erik de Beer. Main title is the four part suite Armenia, telling the moving story of the (never officially admitted) genocide on more than one and a half million Armenians during World War I. Part 1 is a well-balanced beautiful instrumental, which displays most main themes of the suite and in which the Grand Piano plays a major role. And containing a dark and sombre mellotron part, accompanied by several snare drums. Part 3 is an acoustic song, only accompanied by oboe and piano, in which a perfectly singing Marion expresses the hope on a rebirth of the Armenian people. The suite ends with a jubilant Moog dominatied finale. Again a well-succeeded effort by Life Line Project & worth checking out!